The 2013 ones are not in-engine. Definitely not the first one, anyway. Tomb Raider 1 is from 1996 and began development in 1993; which means the engine used for it is from 1993. 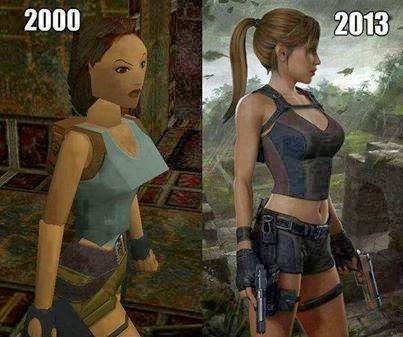 So it's a 20 year comparison, not 10.